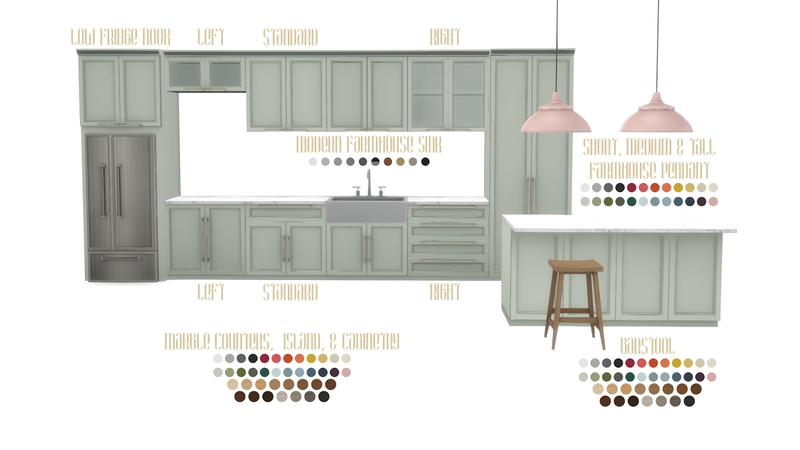 The counters/islands come in two countertop styles. 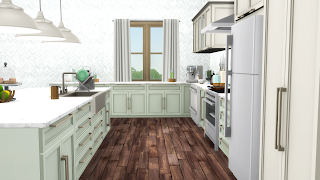 YOU NEED THE WHITE MARBLE COUNTERS INGAME if you want to use the black countertop variant because of linked textures. 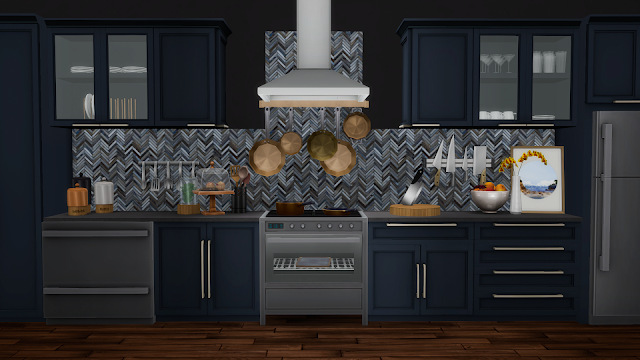 the backsplash was a last-minute idea to give a bit more choice for designs. Fully tileable and comes in most of my "look at me" tile variants because they are my favourite. 06/11/2018 - Something kooky happened and bones got flipped on low lod Fridge mesh. Remade to fix issue and should hopefully replace original without manually needing to. 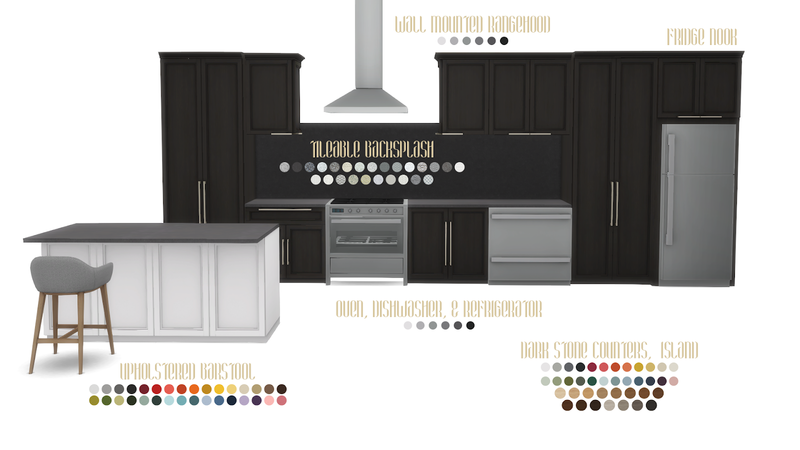 Also fixed unedited backsplash description. Now, there are 2 download links. One for a merged package, and another with all packages separate within a folder in an archive. To install, extract the archive using WINZip/WinRAR/7Zip/Unarchiver and place the folder or package files in your mods folder, then look for them in your game. If you are having issues check out my Installing Content help page. Thank you, thank you!! (mwah mwah) This set looks pretty darn fabulous. Your fridge nooks are just the best and I especially appreciate finishing touches like the range hood and backsplash. 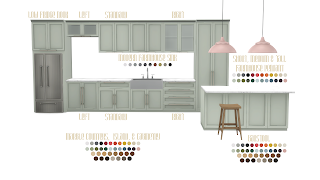 It's getting to the point that I use your kitchen sets almost exclusively, so a new one is definitely exciting. You create the most beautiful things. Thankyou so much. YAAAAAAAAASSSSSS thank you so much! it's absolutely gorgeous! YES! 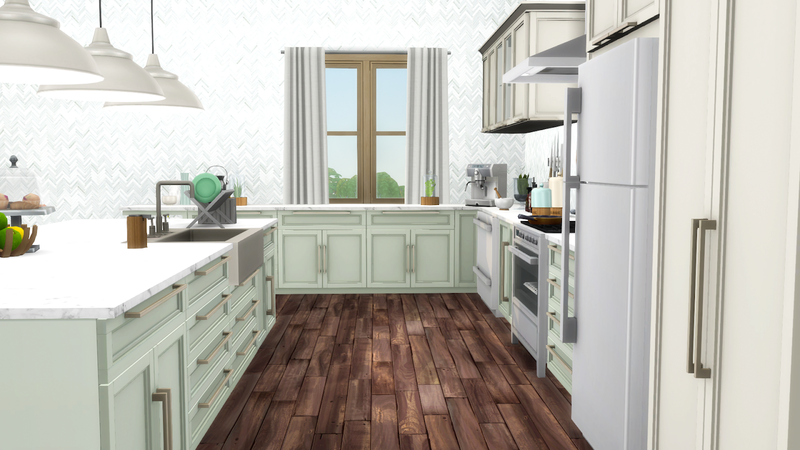 Another kitchen! I love it! Oh heck yea! 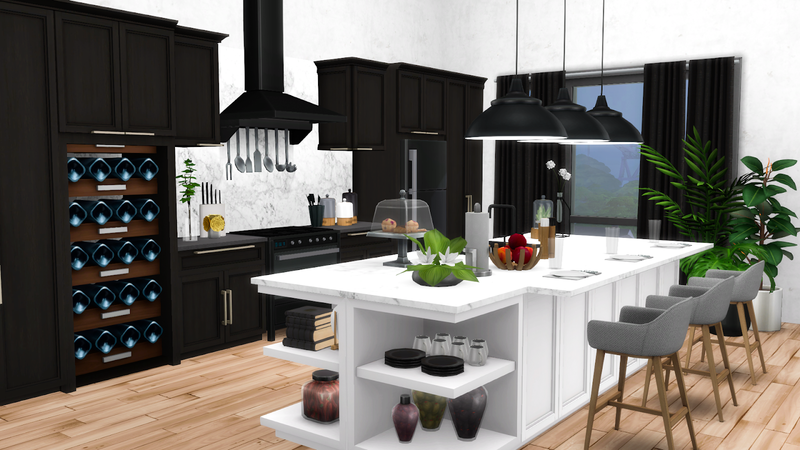 Another kitchen! Thank you!!!!! As always awesome! I never comment on these but...wow. You have really outdone yourself this time. 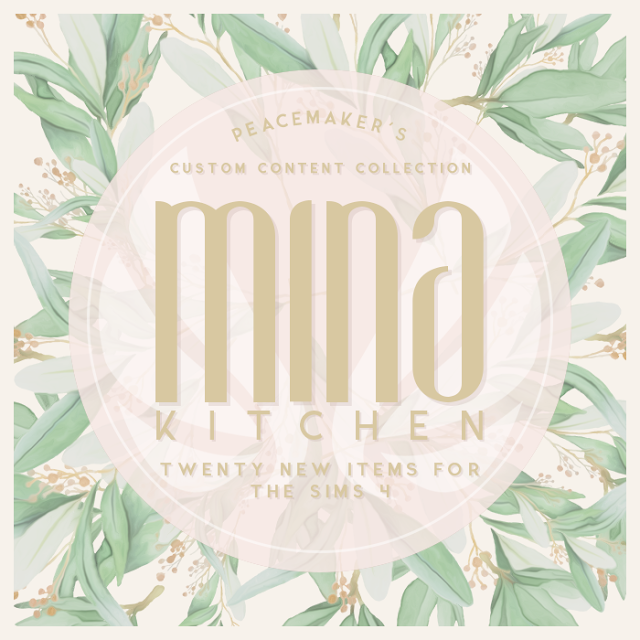 Thank you for these; I am a Peacemaker CC freak! This set is, like all your others, perfection!